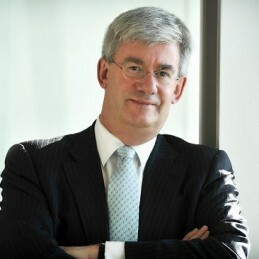 Saul Eslake is Chief Economist of Bank of America Merrill Lynch Australia and an esteemed financial commentator. He has worked as an economist in the Australian financial markets for more than 25 years, including as Chief Economist at McIntosh Securities (a stockbroking firm), Chief Economist (International) at National Mutual Funds Management in the early 1990s, and as Chief Economist at ANZ from 1995 to 2009. He took a break from the financial markets between July 2009 and December 2011, during which time he worked part-time as Director of the Productivity Growth Program at the Grattan Institute, a think tank affiliated with Melbourne University. Saul returned to the financial markets in his current role . Saul is also a non-executive director of Hydro Tasmania, the largest renewable energy producer in Australia; and a member of the National Housing Supply Council (which produces long-run estimates of the demand for and supply of housing) and the Australian Statistics Advisory Council (the external advisory body to the Australian Bureau of Statistics). He has at different times in the past been a Chair of the Tasmanian Arts Advisory Board; a board member of the Australian Business Arts Foundation and the University of Tasmania Foundation; a member of the Howard Government’s Foreign Affairs and Trade Policy Advisory Councils, and of the Rudd Government’s Long-Term Tourism Strategy Steering Committee; and a member of the Steering Committee established by the Tasmanian Government to prepare a business case for a Tasmanian team in the AFL. He has also been an occasional contributor to the Melbourne Age, Sydney Morning Herald and Launceston Examiner newspapers, and to a number of professional and other magazines. Saul has a first class honours degree in Economics from the University of Tasmania, and a Graduate Diploma in Applied Finance and Investment from the Securities Institute of Australia. He has also completed the Senior Executive Program at Columbia University’s Graduate School of Business in New York.